Coming To Mindfulness' compassionate faculty are Licensed Healthcare Professionals that understand the physiological and emotional effects of stress and the benefits of stress reduction. They are experienced in mindfulness meditation facilitation and are either Certified MBSR or MSC Instructors or in the process of obtaining certification from a reputable university. Lisa is a Registered Nurse , Certified Mindfulness-Based Stress Reduction (MBSR) Instructor, Certified Case Manager, and Registered Yoga Teacher with Yoga Alliance (200RYT) with more than 17 years of personal mindfulness meditation experience. In addition to being a Registered Nurse she holds a Bachelor Degree in Psychology and Health Care Management and a Masters Degree in Psychology with a specialization in Health Psychology. Lisa received her certification as a Mindfulness-Based Stress Reduction (MBSR) instructor from the University of California San Diego's Professional Mindfulness Teaching Institute. She has participated in Mindfulness-Based Stress Reduction (MBSR) training and Mindfulness-based Stress Reduction Teacher Training through the University of California San Diego's Center for Mindfulness and with Dr. Jon Kabat Zinn at the University of Massachusetts' Center for Mindfulness in Medicine, Health Care, and Society. She is also a trained Mindful Self Compassion (MSC) teacher. She received her MSC training at the University of California San Diego Center for Mindfulness and the Center for Self-Compassion with Dr. Kristen Neff and Dr. Christopher Germer. In addition to facilitating Mindfulness Meditation in the corporate & private settings, Lisa has also delivered continuing education presentations on Stress Reduction and Mindfulness Meditation to Healthcare Professionals, and has participated in advancing the research of mindfulness in nursing. As a registered nurse case manager, Lisa has worked with patients struggling with chronic medical conditions and high levels of stress. Lisa has more than 10 years experience in healthcare leadership. She is passionate about bringing MBSR & MSC to the general public. Lisa also sits on the advisory board of Mindful First, bringing mindfulness to Arizona's schools. Lisa is a Coming To Mindfulness faculty member teaching both MBSR & MSC programs in the Phoenix, Arizona area and West Valley. Sandy holds a Bachelor Degree in Nursing and is Certified Case Manager with 6 years of personal Mindfulness Meditation experience and more than 10 years in healthcare leadership. She has participated in Mindfulness-Based Stress Reduction (MBSR) training and is also a trained Mindful Self Compassion (MSC) teacher. She received her MSC training with Coming to Mindfulness and MSC Teacher Training from the University of California San Diego Center for Mindfulness and the Center for Self-Compassion with Dr. Kristen Neff and Dr. Christopher Germer. As a registered nurse case manager, Sandy has worked with patients struggling with chronic medical conditions and high levels of stress. She understands the physiological and behavioral impacts of chronic stress. As a Mindful-Self Compassion teacher Sandy has seen how the practice can transform the way in which individuals relate to themselves and their situations. She is passionate about helping individuals cultivate the skills of Mindfulness and Self-Compassion. 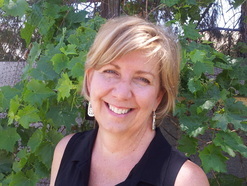 Sandy joins the Coming To Mindfulness faculty teaching MSC programs in the Phoenix, Arizona Metro Area.